At MMI Tank and Industrial Services, we don’t just manufacture hard working equipment, we verify that everything is in peak working order before delivery. We manufacture a large variety of industrial sized steel products, from large capacity storage tanks, pressure vessels, and UL tanks, to gear boxes, railing and everything in between. We can assist you with upgrades and repairs as well as facility design and build jobs. We understand the importance of a proper fit and finish as well as having equipment work the first time and every time it’s turned on. That’s why we build to precise specifications and thoroughly test everything before sending it out to you. Our “Assembly Test Procedures” will ensure that your welds and shells are up to code and will hold up to the heat, pressure and other demands that you will be putting them through on a daily basis. Do you need your tanks and pipes to be able to contain pressurized air or water? Maybe you have specialized chemical storage requirements. We specialize in fabricating large tanks, pressure vessels, and piping systems, for the industrial sector. We have a highly qualified and experienced millwright staff that can handle even the most difficult assembly and installation requirements. We can even assist in the relocation of your entire plant. When you work with MMI Tank and Industrial Services you can be sure that the job will be done right and your equipment will work effectively for years to come. Give us a call and we’ll help you design an efficient process to meet your space, production and quality specifications. 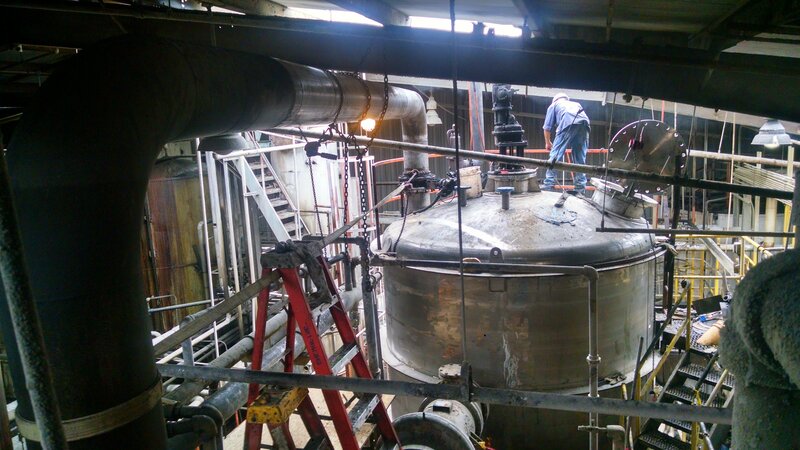 At MMI Tank and Industrial Services, it is our job to help make your jobs flow better.